New faces, new engines, and more tech. Mercedes-Benz launched the updated S-Class sedan range earlier this year, and at the time, I was told the facelifted coupe and cabriolet models would debut at the 2017 Frankfurt Motor Show. Time indeed flies – the Frankfurt show is next week, and so, violà, meet the refreshed S-Class Coupe range. No surprise, the coupe's 2018 model year updates are very similar to what you see on the sedan. Three models will be available in the United States, and here's what you need to know about each one. New biturbocharged 4.0-liter V8 – same as the S560 sedan. This engine comes from the AMG GT, and in the S560 Coupe, makes 463 horsepower and 516 pound-feet of torque. Mercedes estimates a 0-60 time of 4.5 seconds and an electronically limited top speed of 130 miles per hour. 4Matic all-wheel drive is standard. You can’t get a rear-drive S560. Redesigned front and rear bumpers, new headlamps, OLED taillamps, and new tailpipes round out the exterior changes. Mercedes’ new Energizing Comfort interface is standard, with pre-set modes that activate the seat heating/massaging, ambient lighting, drive modes, and even music. Look at that interior! If I told you this came out of a Bentley or Rolls-Royce, you’d probably believe me. Redesigned steering wheel incorporates touch control buttons that debuted on the E-Class range. The 12.3-inch COMAND infotainment screen is now merged with the instrument panel for a seamless look across the dash. An updated, more powerful version of the AMG 4.0-liter V8 powers the S63, with 603 hp and 664 lb-ft of torque. A new nine-speed dual-clutch transmission manages all that power. 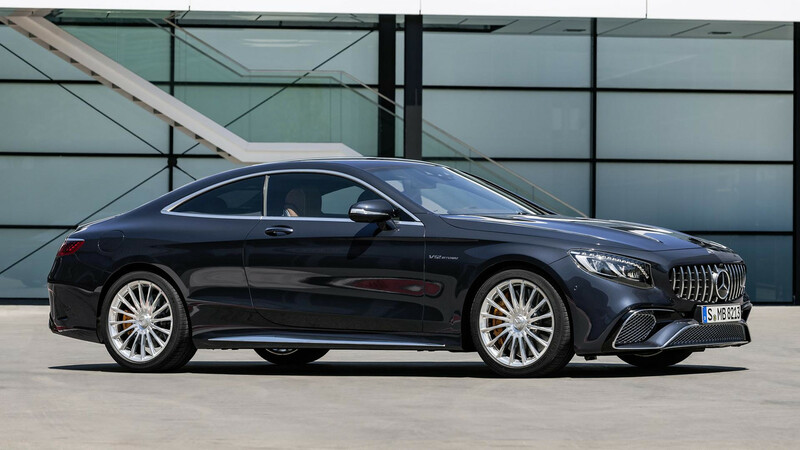 Like other AMG 63 models, the S63 Coupe is only available with 4Matic all-wheel drive. Of course, being AMG Performance 4Matic+, the engine’s torque is fully variable, moving effortlessly between the front and rear wheels. Hitting 60 mph takes just 3.4 seconds, and the top speed is limited to 186 mph. Performance exhaust and an AMG Sport Suspension are standard. Larger brakes (15-inch front, 14-inch rear) and 20-inch wheels with performance tires are standard. All of the S560’s exterior and interior updates carry over to the S63, though the front and rear fascias have a more menacing look. What a beaut. This one’s the big daddy. 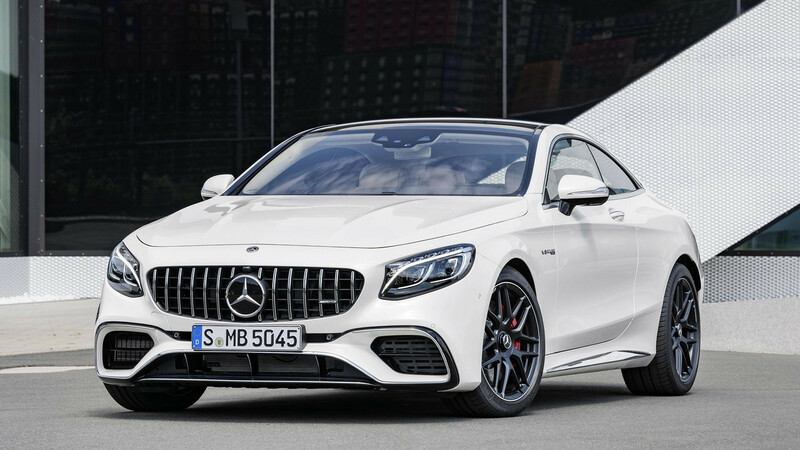 There’s a 6.0-liter biturbo V12 underhood, with 621 hp and 738 lb-ft of torque, managed by a seven-speed automatic transmission. If you think the AMG S65 is the best-performing S-Class of the bunch, think again. 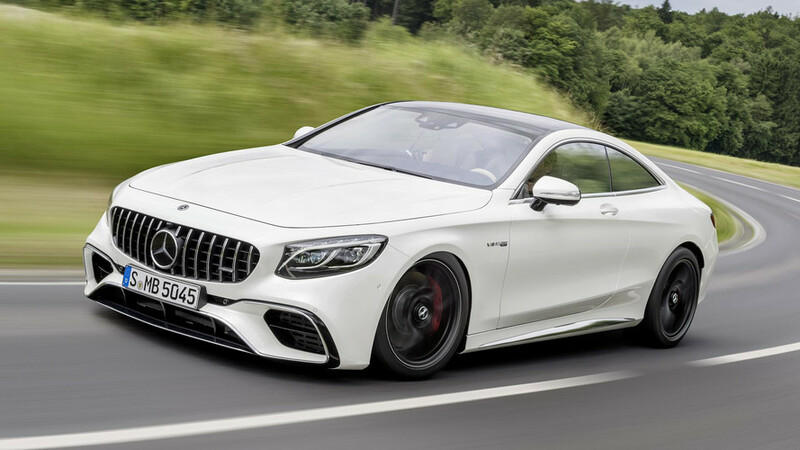 It’ll do 0-60 in four seconds, which is more than half a second slower than the AMG S63 Coupe. It has the same 186-mph top speed, as well. 4Matic? No way. The AMG S65 is a rear-wheel-drive affair. Everything from the S560 and S63 is standard here, including all of the AMG performance goodies. Both the S65 and S63 can be optioned with different 20-inch wheels, the AMG Night Package, Carbon Fiber Package, and carbon ceramic brakes. 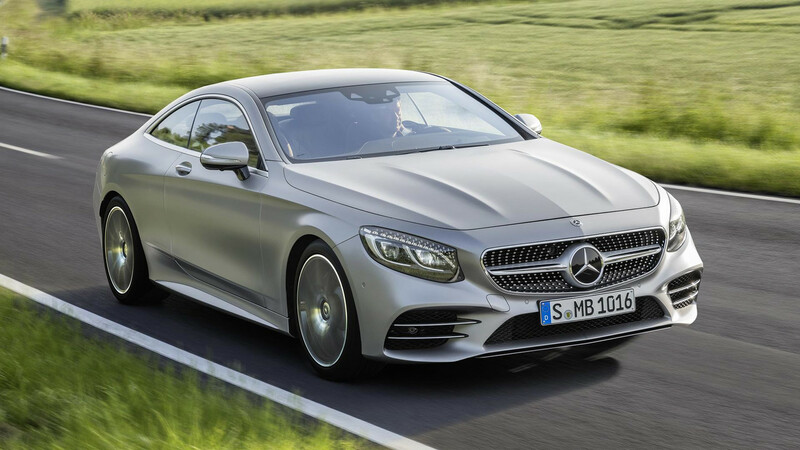 All versions of the 2018 S-Class Coupe will go on sale next year, with U.S. deliveries expected mid-year. Official prices will be announced closer to that time, but expect six-figure tags across the board, and well over $200,000 for that range-topping S65.